Toll Free phone numbers are a free way to reach the company or person you need without using part of your data plan or using up your allocated minutes on your cell phone. 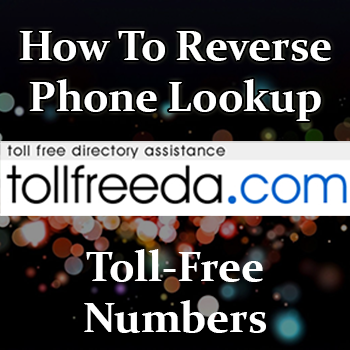 If you’re looking specifically for a reverse phone number lookup for a company that called you that is a toll free company, you can use this methods to determine who called you. The service we will be using is called TollFreeDA – they are a free service that is associated somewhat with AT&T to lookup toll free number. Their website not only lets you reverse lookup a toll-free number, but you can also search for a toll free company near your area code, and it will present you with the various options. On the right hand side you can enter the phone number of a phone number that has already called you, or that you want to lookup. For the directory, use the left hand side that says “Listing Search”. In order to display the toll free number associated with the business, you first need to click on the check box on the left hand side next to the company name. You can select multiple companies from this page. Once you have selected the numbers you want, click on the “Display Toll-Free Numbers” button. At this point in time, it is only possible to search for 800, 844, 855, 866, 877, and 888 numbers from the database. 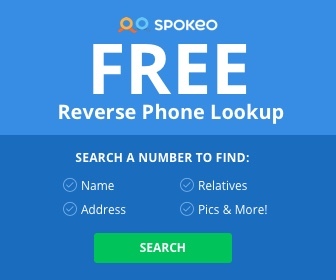 If you have a phone number you are trying to lookup that does not start with those area codes, you can use the different phone number lookup methods from BestFreePhoneLookup to help you instead. 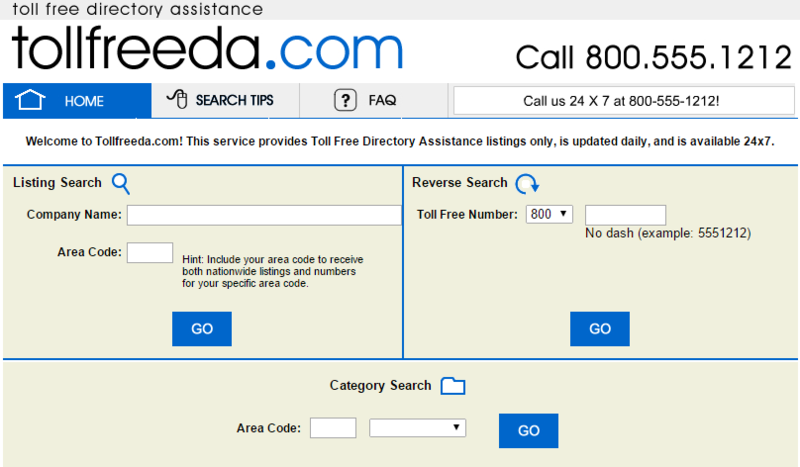 Some companies have decided to opt-out of the list with Tollfreeda.com, but their number may be listed in a regular phone number directory. The domain and website is owned by AT&T – they retrieve the information through their own directory and that is how they are able to publish it as well. They have numbers that are connected with AT&T, it is not restricted to just their network. If you found this useful, be sure to leave a comment below!